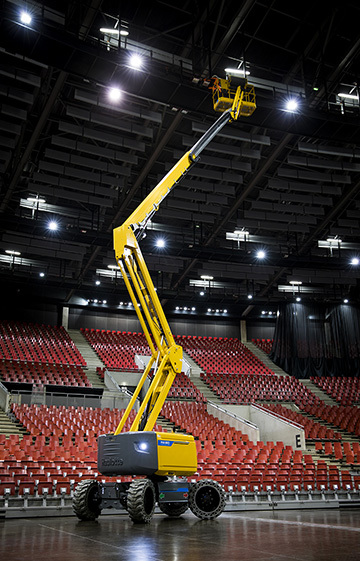 The first PULSEO Generation electric mobile elevating platform, the HA61 LE offers silent operation, indoors or out on any surface, even on the roughest terrain, all with due regard for the environment. 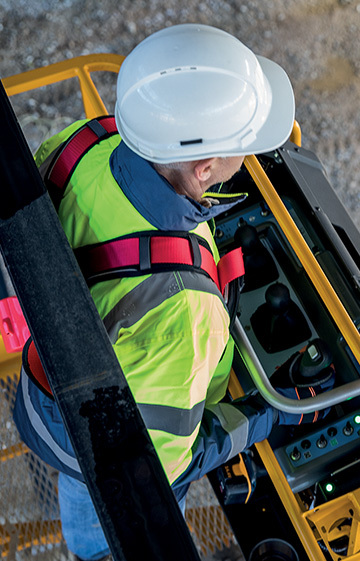 Designed to operate in silence, PULSEO cares for both the environment and people nearby. 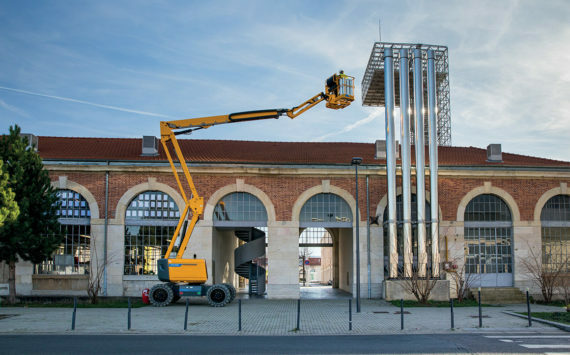 Its all-electric architecture makes it suitable for work in downtown areas and low-emission zones, as well as on green construction sites. 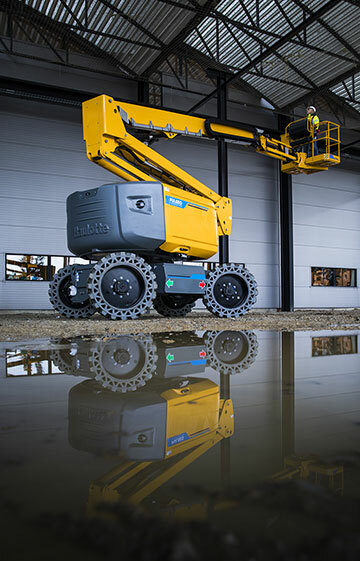 Equipped with non-marking tyres, this new generation of electric mobile elevating platform is perfectly suited to indoor applications. 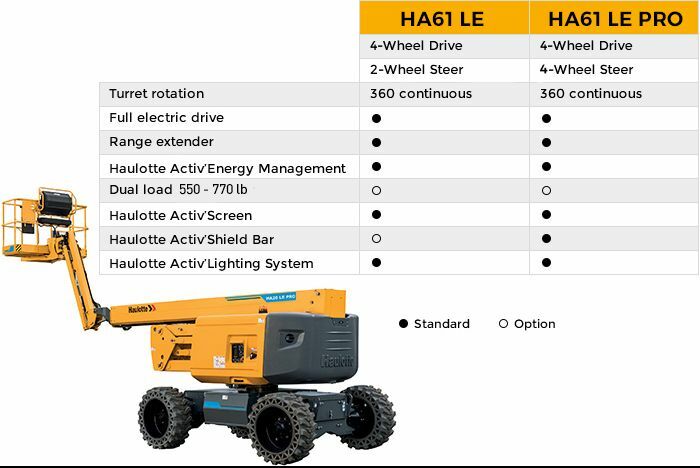 Its oscillating axle and 4-wheel drive ensure optimal adherence and stability for outdoor work. Thanks to their silent electric operation, PULSEO models can be used at any time with no inconvenience for local residents. 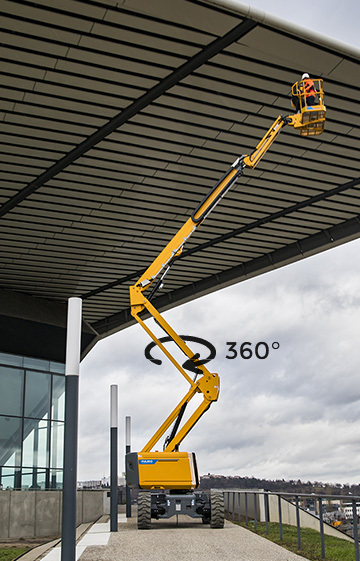 Ultra-fast elevation speed, 360° continuous turret rotation and simultaneous movements work together to enhance your productivity. Dual-load models make it possible to increase the load capacity while adapting the working envelope, thereby ensuring stability. 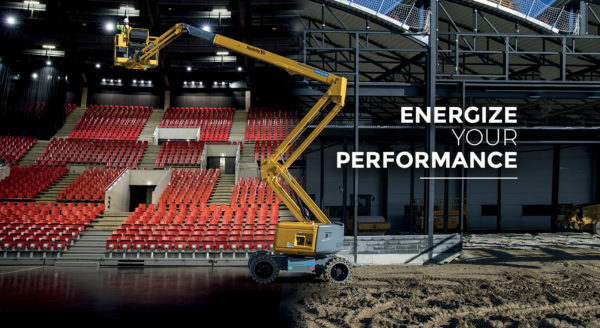 High-capacity batteries and the ability to lower the basket by force of gravity with no power consumption maximize battery life for a full day’s work. 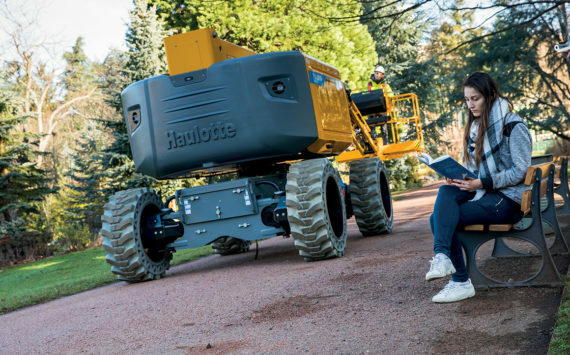 If extended battery power is required, the on-board range extender engine can rapidly recharge the batteries, while the machine retains its full operating capacity during the charge cycle. At the end of a shift, the built-in charger and its smart power management module optimize both the charge and life span of your batteries. Proportional controls ensure smooth and precise movements. 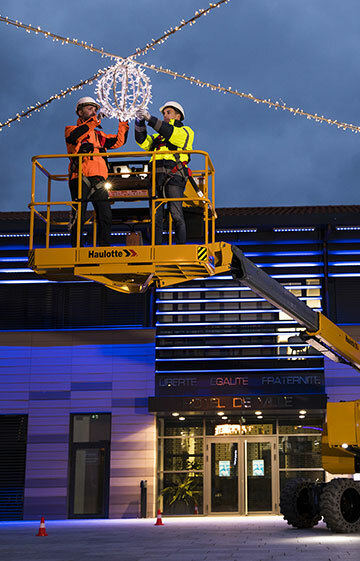 Thanks to the Haulotte Activ’Shield Bar anti-entrapment system and the Haulotte Activ’Lighting System, working at heights, as well as loading and unloading operations, are now safer than ever. 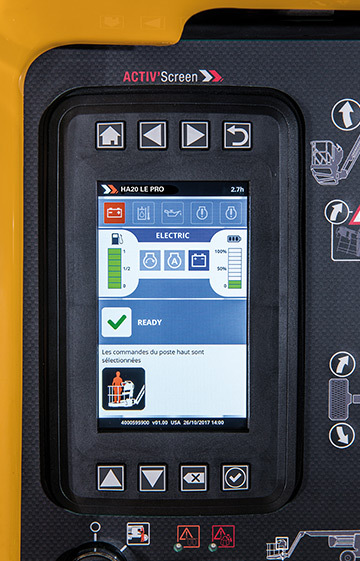 A valuable on-board diagnostic tool, Haulotte Activ’Screen provides access to any malfunction resolution procedures that may be necessary. 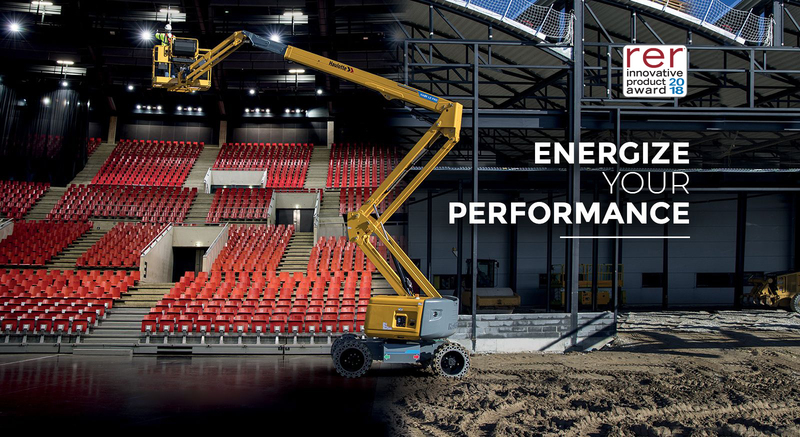 With a maintenance-free electric motor, extended maintenance intervals, easy access to components and simple battery maintenance, PULSEO ensures minimum downtime. Thanks to their high-quality materials and components, ideal protection for electric and hydraulic parts and extensive endurance testing, PULSEO models come with a 5-year warranty. Yes, I accept that the Haulotte Group will continue to send me information.No, after sending this form, I want my data to be deleted from the website database. 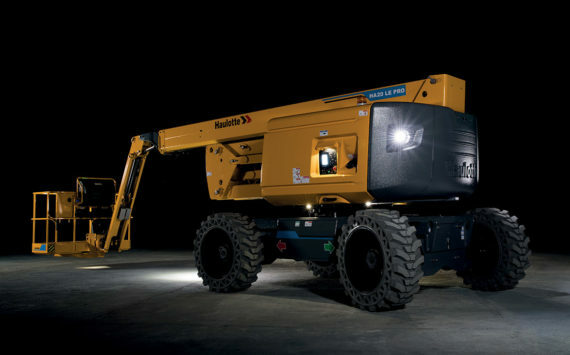 Haulotte Group is a global leader of people and material lifting equipment. 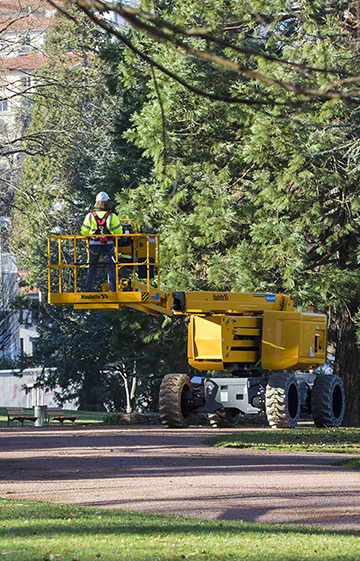 As European leader, the group designs, manufactures and markets a wide range of products focused on mobile elevating work platforms and telehandlers.